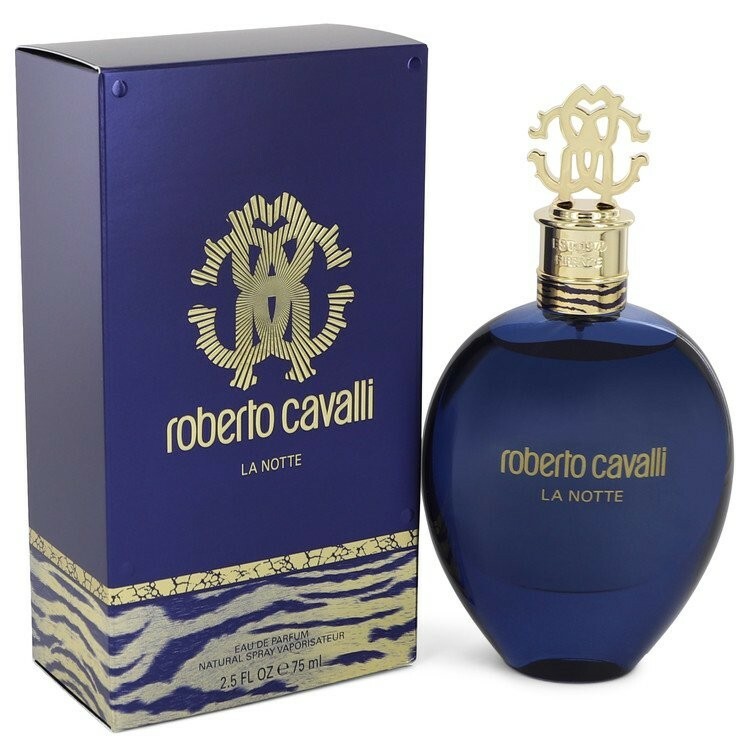 The New Roberto Cavalli La Notte Limited Edition intitiates an exclusive encounter. Under the cover of night, they reveal new facets of their personnalites : naturally sensual, irresistibility captivating and slightly mysterious. It opens with a sparkling and zesty overture of pink peppercorn and mandarin that is bound to captivate the senses and capture the attention. Building on the iconic orange flower signature that defines Roberto Cavalli feminine fragrances, the master perfumer added a seductive note of raspberry liqueur. This heady and sensual counterpoint perfectly highlights La Notte for woman’s nocturnal dimension. It speaks of intimacy and seduction, of exchanged glances and whispered confidences. The scent of sweet vanilla, mesmerizing woody dry amber facets and sophisticated patchouli in the base add a fascinating and slightly exotic echo to the fragrance. Roberto Cavalli La Notte was launched in 2018.